To reflect the botanical gardens outside, the design team at Celsia Floral created the stunning crescent moon floral arch and table arrangements to be intentionally imperfect. 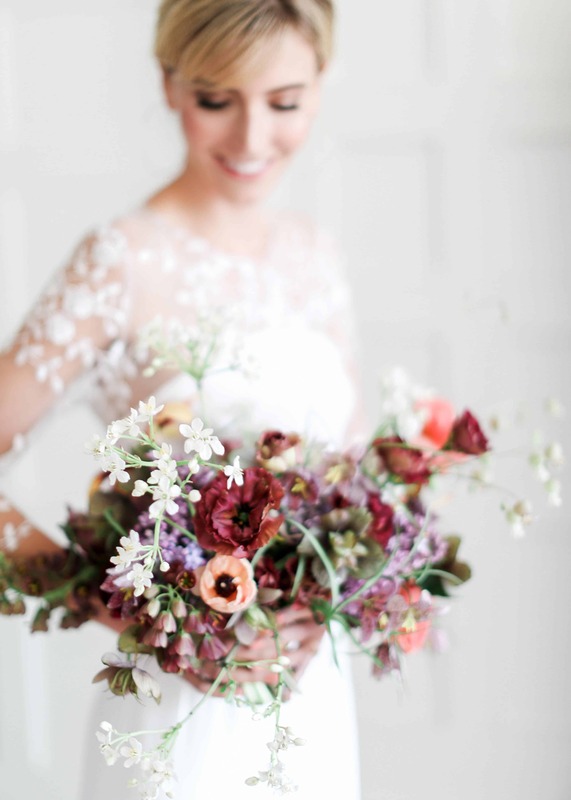 Some flowers are grouped together, while others remain wild and loose to replicate the rhythm of flowers in nature. 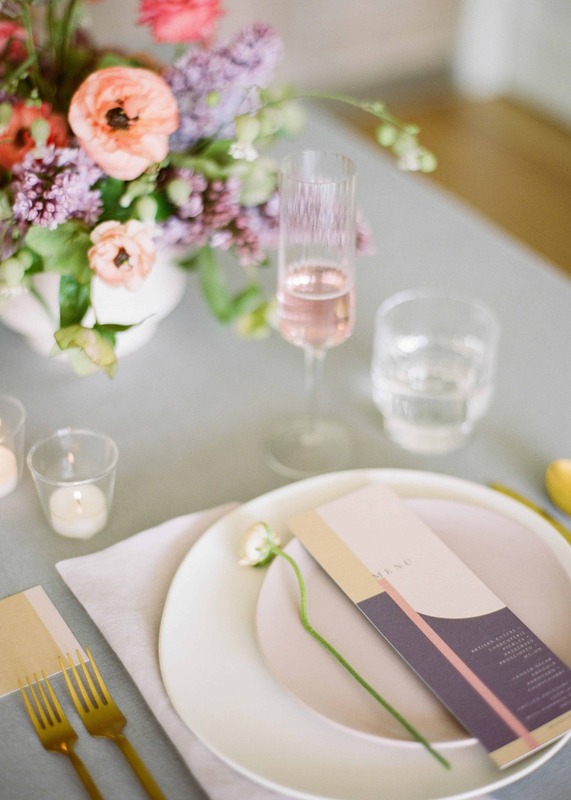 Natural elements like florals and food bring the event design to life. 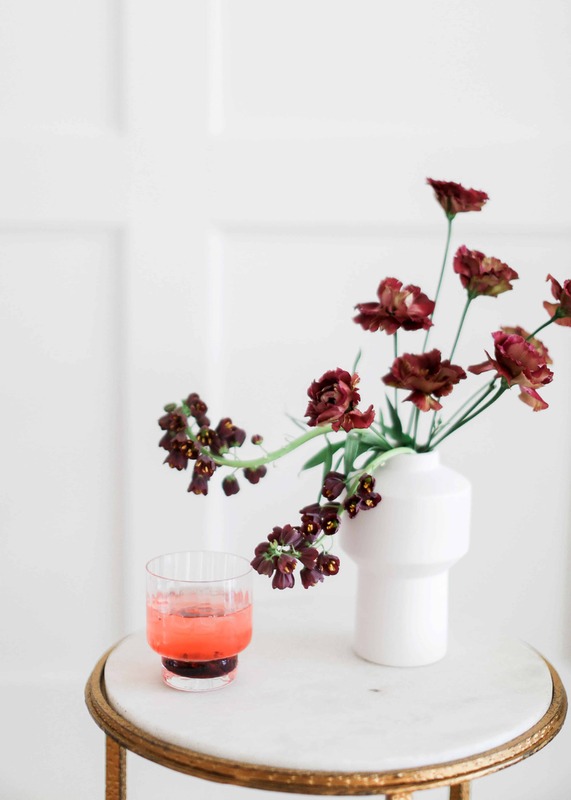 The elderflower and blueberry cocktail reflects the colour palette and the season. 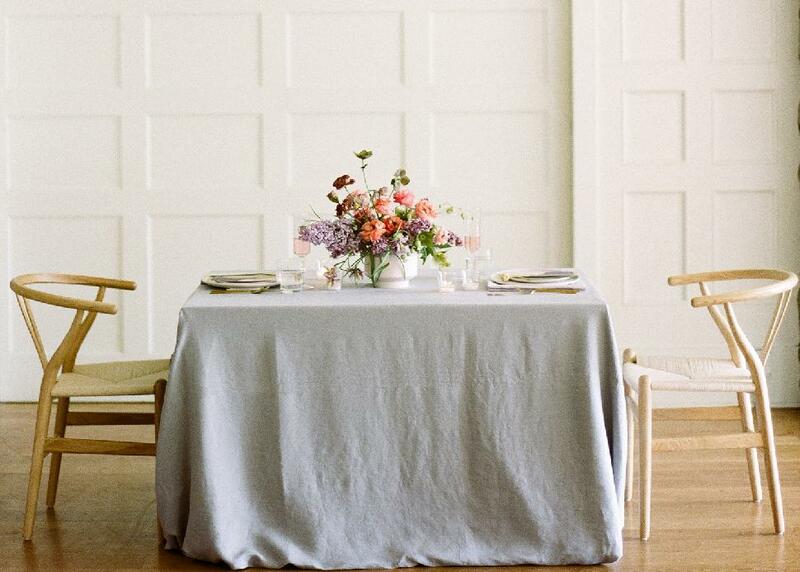 Matte dishes and natural table linens (from Faire La Fête Linen Rentals) ground the place setting. 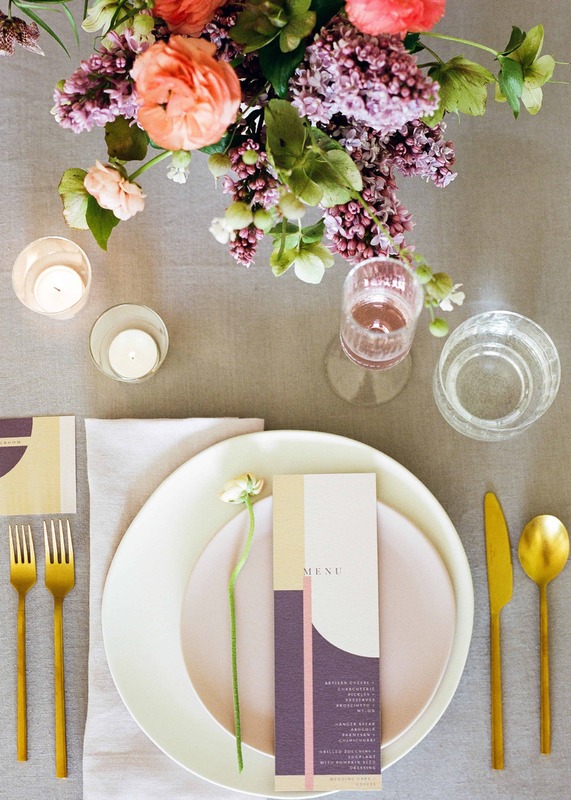 The layered elements and stunning gold flatware add both colour and texture. Additional rentals were provided by The Collection Rentals. 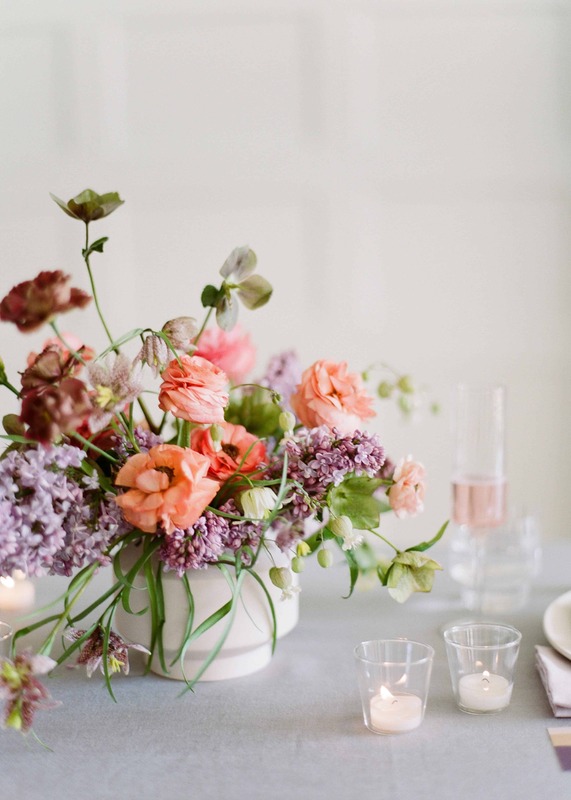 CLICK HERE to find out Spread Love Event's top tips on creating the perfect minimalistic tablescape. 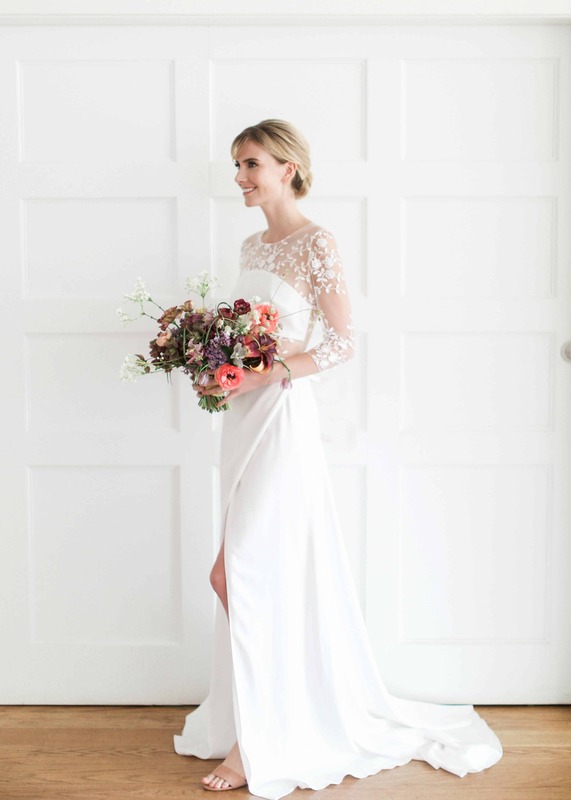 This sleek Rime Arodaky “Cooper” gown features feminine details, including embroidered flowery tulle, a boat neckline and a wrap skirt (available at Union Bridal). Denise Elliott Beauty Co. created the naturally beautiful hair and makeup look. 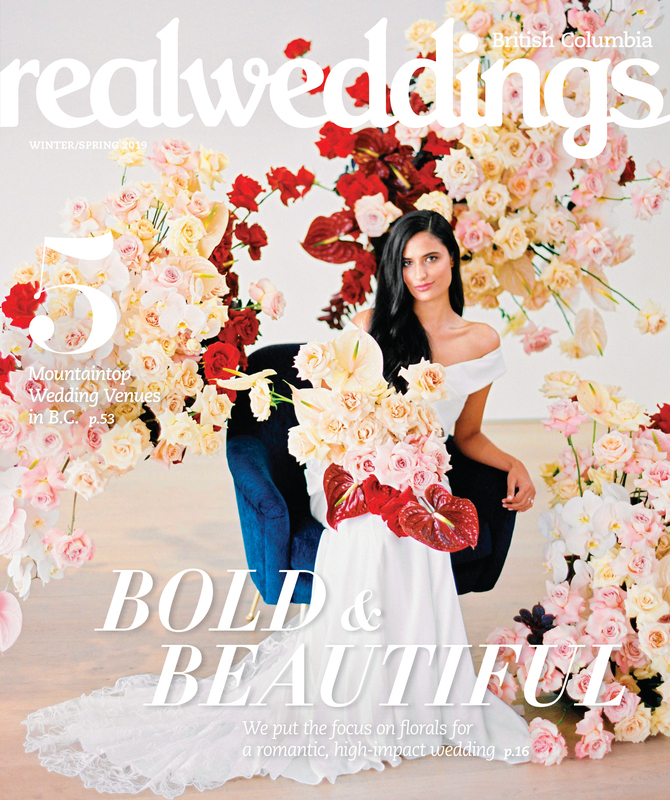 A This fitted “Aston” V-neck crepe gown with a transparent halterneck and embroidered tulle flowers by Rime Arodaky from Union Bridal works perfectly with a current statement earring from Club Monaco. 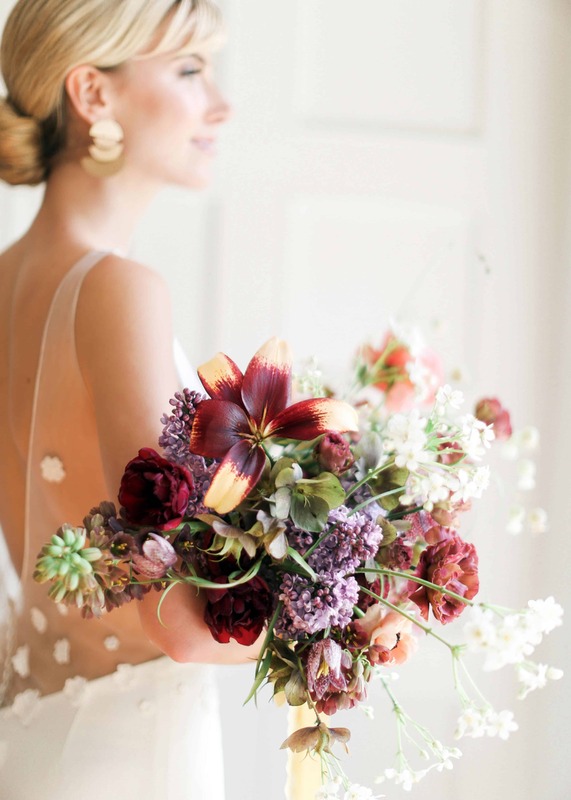 The final look showcases the bride’s sense of style while remaining timeless. 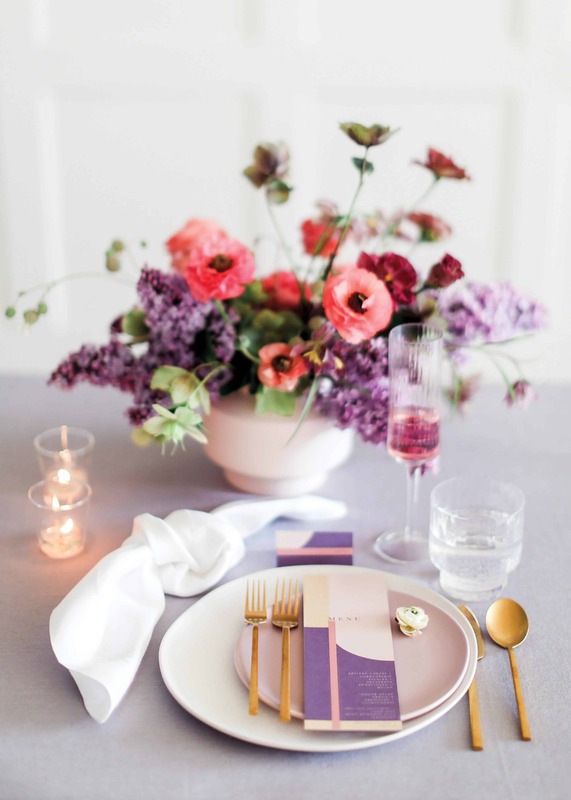 Purple isn’t an easy colour to design with, but Elizabeth Durels of Spread Love Events embraced the boldness of the hue in the stationery suite. 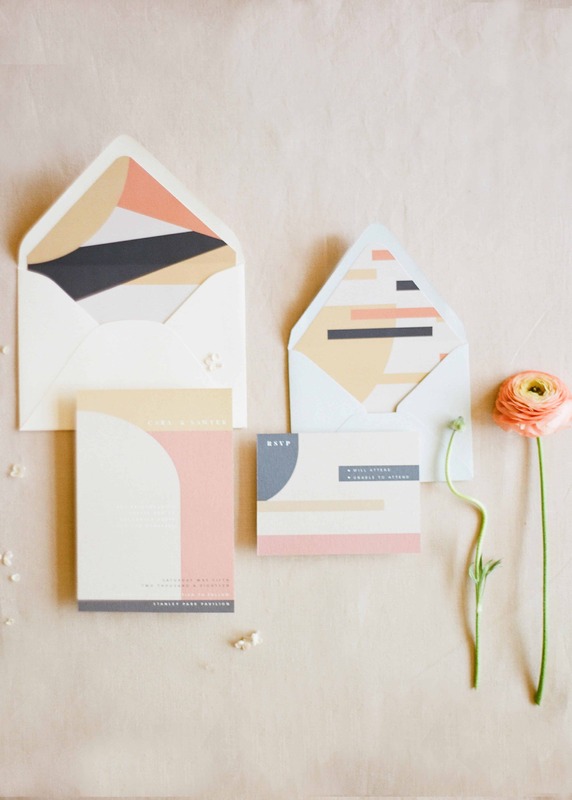 While keeping the overall design simple, the graphic nature of the stationery sets an artistic tone with its circular lines and mid-century modern flair. The wishbone chair’s circular lines are repeated in the stationery and even the bride’s earrings. 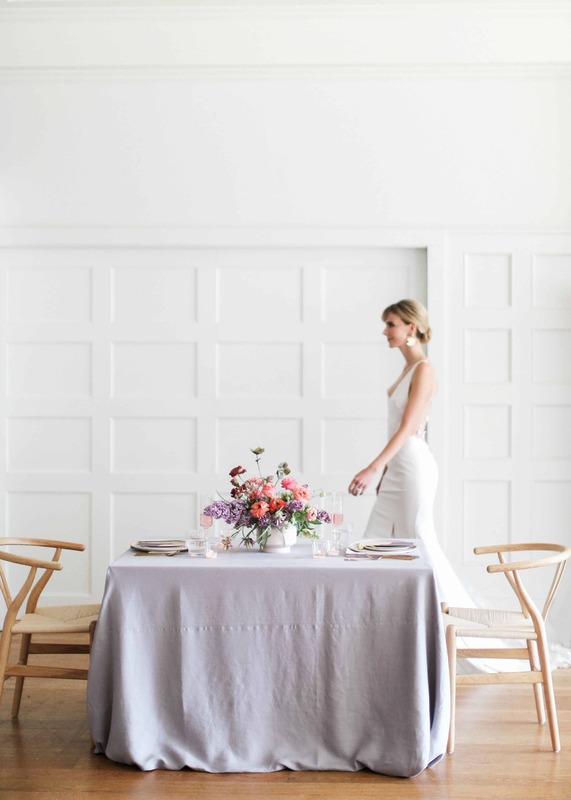 The subtle mix of eras—from the heritage venue to a nod to mid-century modern design in the chairs and stationery—creates a beautiful blend of traditional and contemporary.